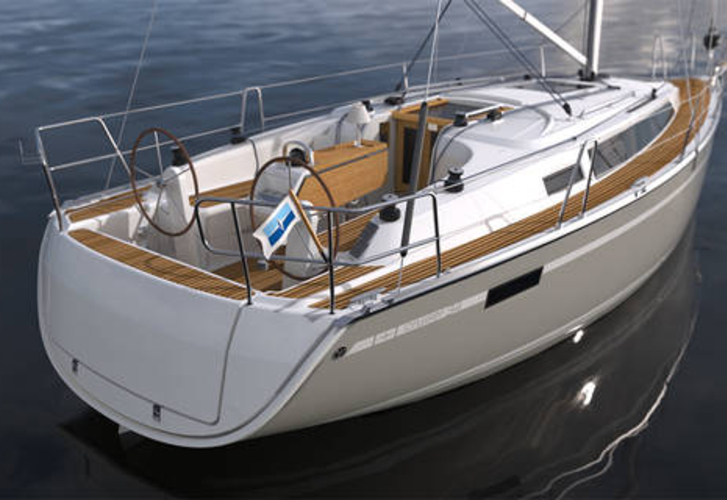 In 2017 was produced yacht Bavaria Cruiser 34 named Bashung. This vessel is placed in port Dubrovnik in the region close to Dubrovnik in Croatia. You can accommodate up to 4 crew members on the vessel Bashung. Scheme of berths is 4. There are 2 cabins situated below yacht's deck. Bashung has 1 bathrooms. See different yachts in this site: Yacht charter Dubrovnik. Tank for fuel is 150.00 l l. capacious , water tank has up to 150.00 l liters. In this yacht there is motor Volvo 30 hp. With 9.99 meters of LOA and 3.42 meters of beam Bashung provides enough space for comfortable sailing. Bavaria Cruiser 34 Bashung is equipped with: Furling mainsail, Bimini top, Dinghy, Anchor electric windlass, Teak cockpit, Autopilot, Gps plotter, Gps, Radio / cd player, Radio cd mp3, 2 refrigerators, Freezer, First and last night in marina free of charge. . Caution has value 1500.00 EUR. Use our website to find our offer under this link: Yacht charter Dubrovnik.